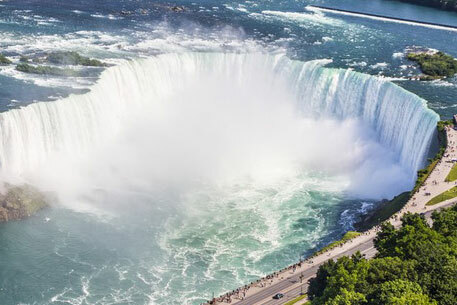 Now discover the Niagara region with much zeal and zest with our optimum class limousine and party bus rental service that will take you on a mesmerizing tour around the area. We are a class apart and offer only the best where royal limo rides are concerned. We have been facilitating the tourists and locals in and around the Niagara region with budget friendly limousine tours and let people relish each and every minute of their journey by providing deluxe class amenities. We have earned a reputed name in luxury transportation industry in light of our magnificent and prompt service that has won the hearts of clients. Plan your city tours and sightseeing trips with us and we will take you around all the major attractions in the region including exotic wineries, indoor waterpark, casinos, cave of the winds, American falls, Marineland, and many more places that will make your trip even more rewarding. All our air conditioned limousines and party buses are packed with enough luxuries to make you feel not less than a celebrity. We have on board spacious party buses and lush limos to cruise you away around the splendid sceneries and locations in Niagara. Call us at 647-556-5631 or get a free quote online for best limo and party bus packages for wedding, prom or corporate event in Toronto.